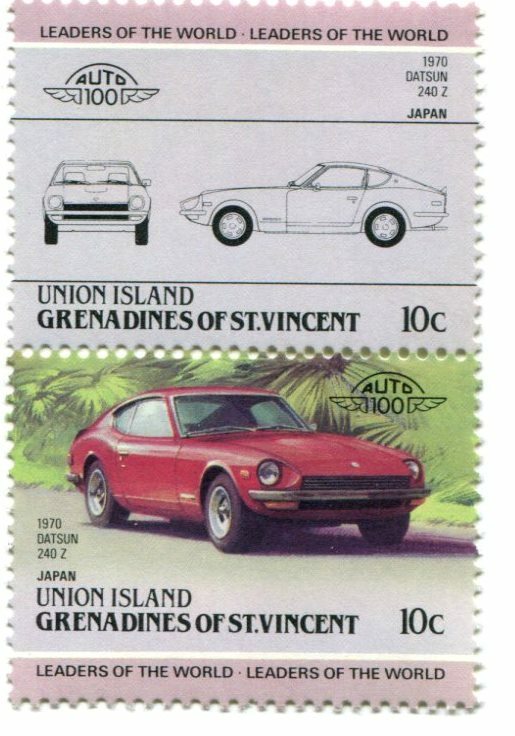 Our example here is inscribed, “Union Island – Grenadines of St. Vincent.” Union Island is but a mere postage stamp itself, at 1.5 miles wide by 3 miles long… but it brought us this cool postage stamp of a Series 1 1970 Datsun 240Z! This one is well-preserved here amongst the rest of my Datsun collectibles, but I’ll bet there are more out there. Anyone else have an example of a Datsun postage stamp? Tell us about it in the Datsun Forums!